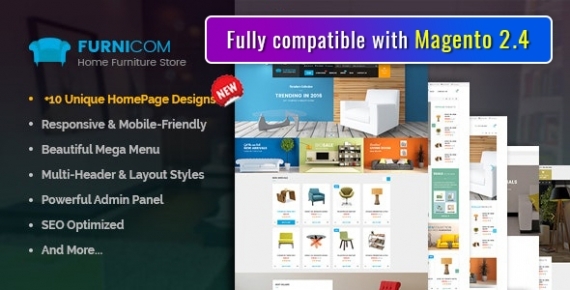 It is available with many powerful in-house modules as well as dozens of awesome features: Image Slider with stunning effects, Static Blocks with nice images and texts, Advanced Filter Product, Quickview product, Ajax Add to Cart, Wishlist, Compare... which are combined perfectly to be captive all your customers at a glance. Moreover, all these features can be tweak easily in the flexible Admin Panel. 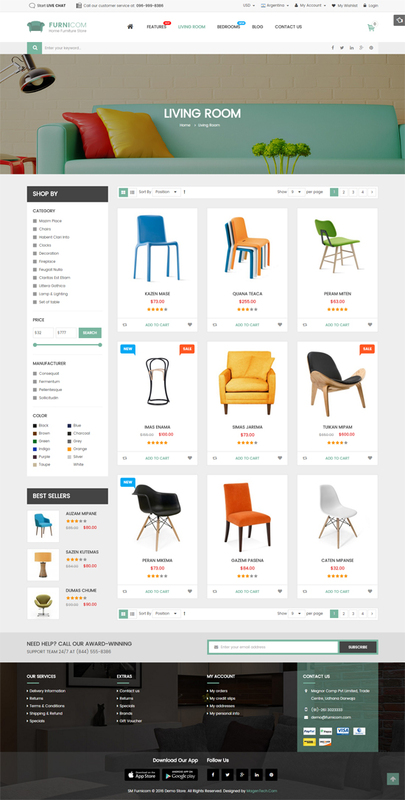 Let's discover the detailed blog of SM Furnicom - A Luxurious Furniture Magento Theme and experience this theme! This package included modules, theme, sample data. 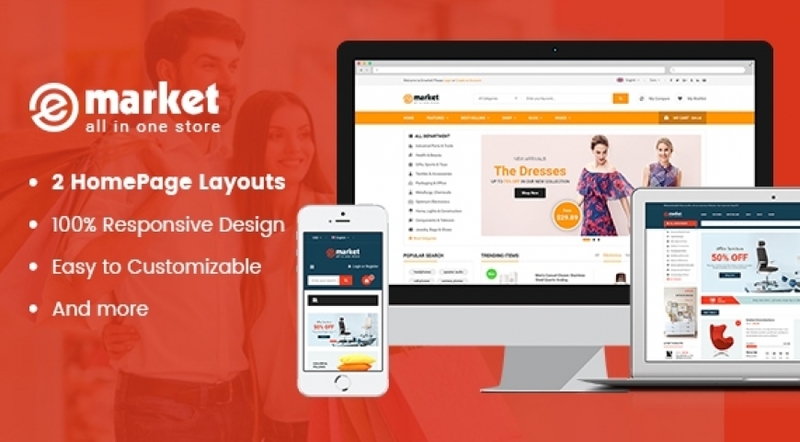 By using this package, you will have a complete site like on the demo.